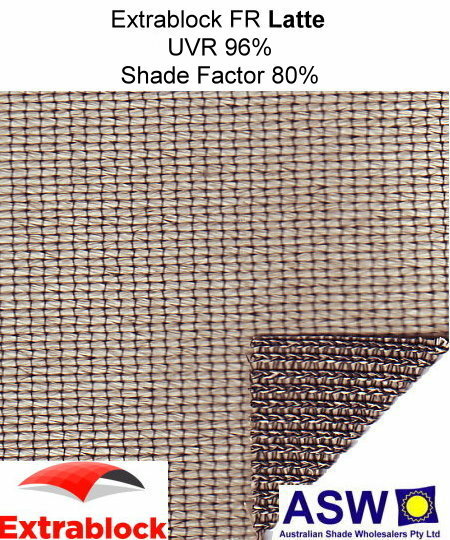 Extrablock is a world leading knitted HDPE shadecloth made to exacting quality standards. With its excellent UV protection factors and superb Flame Retardant characteristics Extrablock is the shadecloth of choice for all applications both domestic and commercial. From shade around the house to covering that pool right up to the largest of shade structures over carparks and courts. Manufactured using 16 gauge monofilament and tape, Extrablock has high tensile strength and near equal elongation in warp, weft and bias directions.